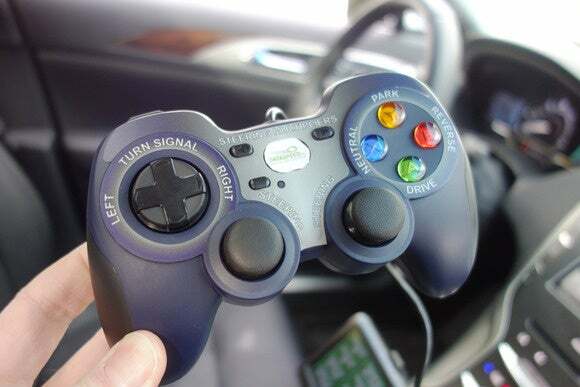 If you think sitting in the back seat of a full-size Lincoln MKZ and driving it with a game controller sounds like a dangerous proposition, you're right. It is. 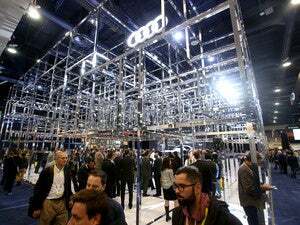 But that's just what's possible with a car brought to CES by Illinois-based AutonomouStuff. The company works with automakers to outfit production cars with autonomous driving technology for use in research. It assembled the joystick-controlled Lincoln in just 10 days to prove how far such systems have come in the last few years. The Lincoln is already a pretty sophisticated car, with drive-by-wire systems that electronically control most of the main functions of the car. AutonomouStuff added two LIDAR sensors on the front bumper and a video camera. The LIDAR sensors from Velodyne use a laser to scan in front of the car and produce a detailed 3D map of the surroundings. The camera from MobileEye provides an optical view in front of the car and can recognize lane markings and pedestrians. Together, these provide the eyes required by a self-driving car system. A Lincoln MKZ modified by AutonomouStuff with additional LIDAR sensors on the front bumper, shown at CES in Las Vegas on Jan. 7, 2016. 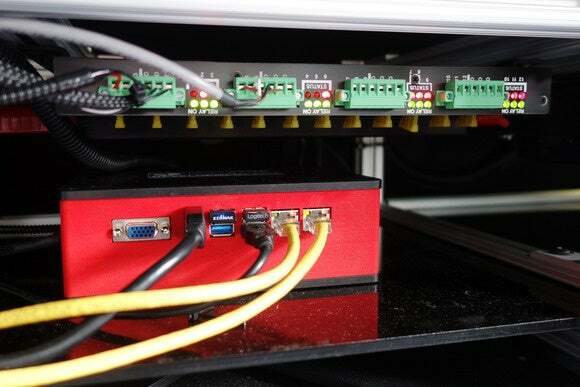 The signals from the LIDAR sensors and camera are fed to a computer in the trunk, which connects the car's CAN (controller area network), the main vehicle control system. The car on show at CES wasn't self-driving, but it could have been with the right software on the computer, according to Tyler Painter, an applications engineer at the company. So to demonstrate the technology, the company had a game controller that could be used to drive the car. The joysticks were used for steering, the directional pad for turn indicators and the buttons for shifting up and down through the gears. 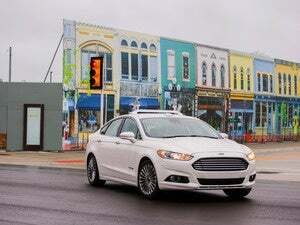 The car wasn't driven far with the joystick, but AutonomouStuff did demonstrate that it works. This joystick can control a Lincoln MKZ modified by Autonomous Stuff. So why bother? 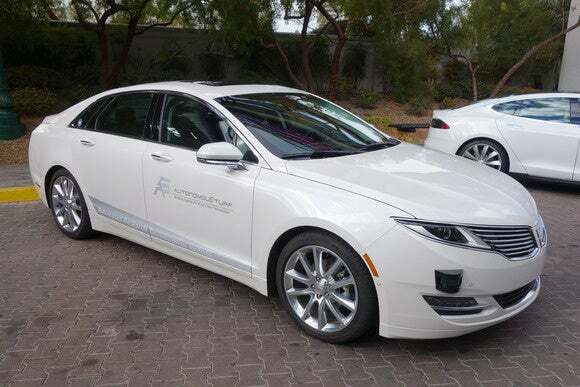 The car was made to show how sophisticated autonomous driving technology has become and how easily it can be connected together and interfaced into modern auto electronic control systems. AutonomouStuff started when its founder, Bobby Hambrick, noticed robotics companies were having a hard time getting access to the automotive technology they wanted to test out autonomous driving technology. He formed the company as an integrator of auto car technology. Today, AutonomouStuff works with automakers and universities to equip cars with advanced technology for use in their research.